Priced up to $2,500 a bottle, Krug champagnes are among the most expensive bottles on the market. In September, high rolling aficionados got their hands on the latest vintage of the Clos du Mesnil, which sells for about $1,000. For those who don't find that extravagant enough, Krug may release a new vintage of its Clos d'Ambonnay in 2015 for about $2,000 a bottle. Is any champagne really worth that much? It all depends on how deep your pockets are. "From a collectors' point of view, there's certainly no greater treasure," said Robert Schagrin, managing partner of Crush Wine & Spirits in New York City. And Krug calls its core customers "true hedonists." Experts cite three reasons for the rich price tags: single vineyard, single grape, and single vintage. It's very rare to find all three elements in one champagne. The combination creates a consistency that brings out the unique characteristics of the soil in which the grapes are grown (otherwise known as terroir). The grapes for the Clos du Mesnil are from a 300-year old, 4.5 acre vineyard that the Krug family bought in 1971. The Clos d' Ambonnay's plot is even smaller, at about 1.7 acres. Connoisseurs say it's the specific plot of land that makes the wine so valuable. ``Companies with micro climate plots and an incredible history can charge more'' said Chris Adams, chief executive of New York wine retailer Sherry-Lehmann. But it's not just the land that the grapes come from that gives it value. It's also the unusual process. But Krug's Clos de Mesnil and Clos d'Ambonnay are made from a single variety of grape -- the first is 100% Chardonnay and the latter all Pinot Noir -- picked during the same year. And of course, supply and demand plays a large role. Supply is very limited, with only 8,671 bottles for the Clos de Mesnil and 4,760 for the Clos d' Ambonnay (for its latest available vintage in 1998). 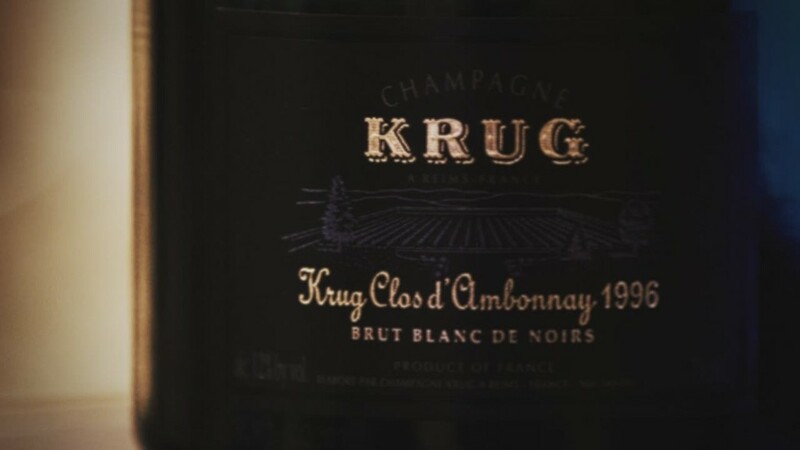 Like most luxury items, limited availability is only half of the pricing equation -- strong demand from wealthy enthusiasts gives Krug the ability to put a four-digit price tag on these bottles of bubbly. If the last few years of Champagne sales are any indication, collectors and luxury consumers will line up for the bubbly. "Champagne is trending up with people spending more per bottle every year since 2009," said Adams. Champagne is now the most popular category at Sherry-Lehmann, surpassing their historical best-seller red Boudreaux.